How to reference a comment with links (with highlighting)? 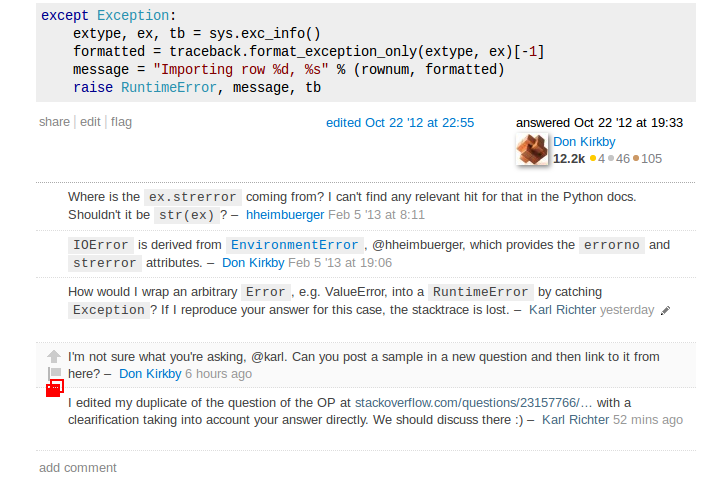 Referencing a comment on a question or answer is only possible by looking at the HTML code (anchors are produced for every comment). Is there a reason why there's no button which copies a link to the anchor of the question? I guess some trouble might occur due to difficulties triggering the highlighting function which is used when opening a link to a status change from the notification panel as this link only refers to an HTML anchor and maybe sends further parameters for highlighting via POST (but I don't know about that). Providing the highlighting for links to comments would be nice though even for links which come from outside the SE node or even SE. Click on the date next to the comment, it links to the url you want. Clicking on the link will set the url anchor to the comment, it also gets highlighted and scrolled into view. Then just copy that url from the address bar and share it. How can I get the link of a comment? Can we retract the use of `rel=nofollow` for links that reference the MDN documentation? Why there is no hover highlighting on visited links?